Big Jim Greenemeyer of Checkpoint was known for making all sort of modified motors based on Igarashi, Yokomo or his own Platinum series later. 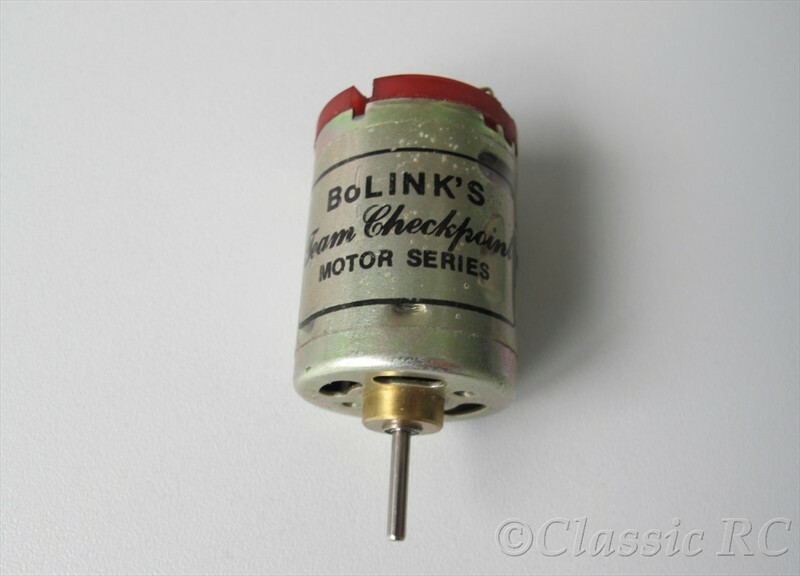 Beside his Checkpoint motors he also was making motors for BoLink, as their Stage series. Around 1979 some 1/12 scale 4WD cars were introduced as the Ishimasa FF-12E or the Kyosho/Robbe Sonic Sports, powered by two Mabuchi 380 motors. 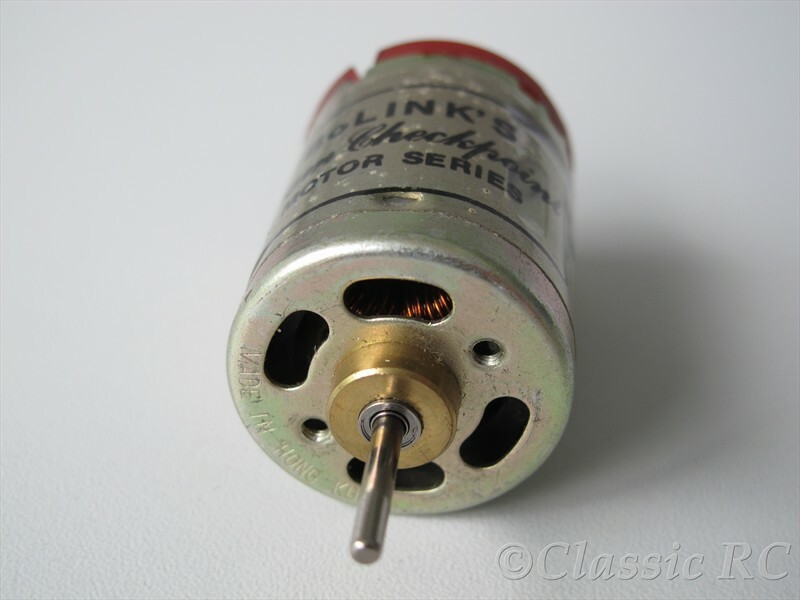 Checkpoint then started also making modified motors based on those small Mabuchi motors, sold by BoLink again. 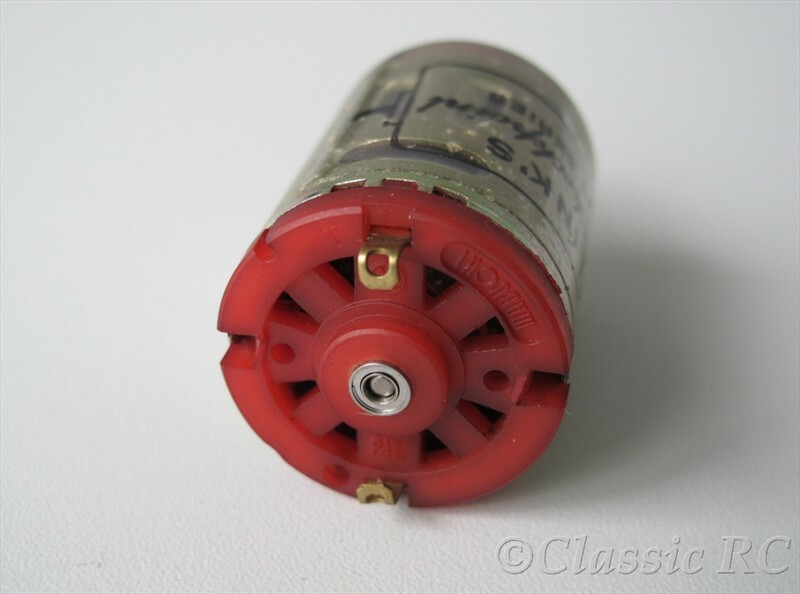 These Mabuchi 380 modified motors got the same reworking as their larger 05 brothers. The can and endbell was machined for bearings, the armature rewound, epoxied and balanced. Not to be seen at the pictures, even some layers of filament was used around the windings for keeping them in place at the commutator. A special treatment what was used at slot motors, but very rarely found at RC motors.